If you own an e-commerce store, then you’ll want to take full advantage of resources that are out there that can help you to achieve success. 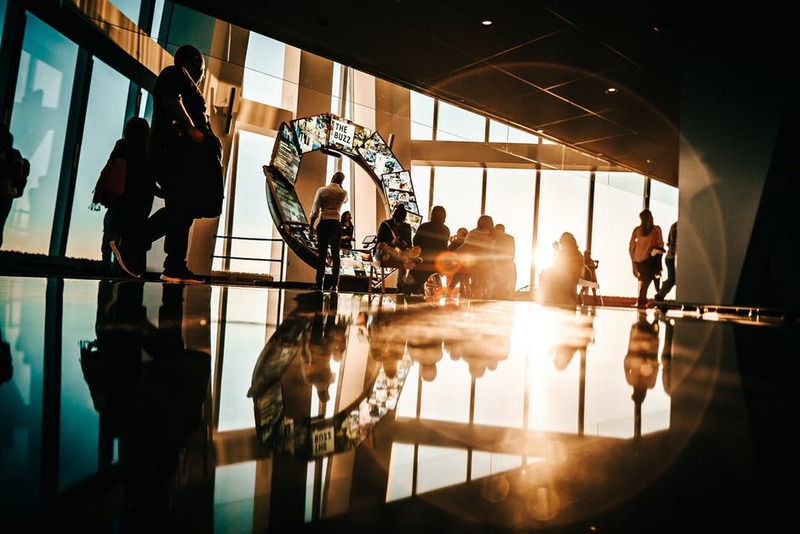 One such resource –is none other than trade shows –something that can give you a great opportunity to connect with new suppliers, potential customers, and experts alike. With over 10,000 trade shows in the US per year, chances are there’s at least a few that are in your industry. If you’re thinking of attending a trade show, the truth is that these shows can be tremendously valuable. Just like most things, though –you’ll need to make sure that you go with clear objectives, and a plan, in order to get the most out of it. 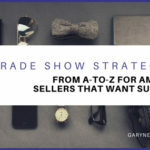 There are a number of reasons that trade shows are worth doing for any Amazon seller. 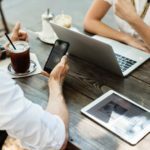 For one thing, it can be extremely time-consuming to keep up with the latest trends –and determine which ones are worth pursuing. 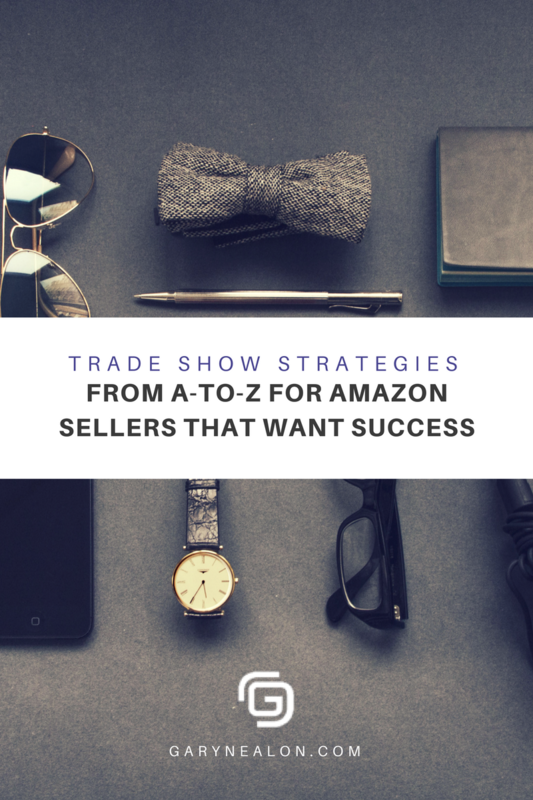 But by attending industry shows like Think Global Retail and the Prosper Show –one that’s specific for Amazon sellers, you can quickly educate yourself on what’s in and what’s selling. It can also be a great opportunity to forge connections, establish relationships with vendors, as well as attend educational seminars. It’s a win-win! Once you’ve purchased your exhibit hall pass, booked a hotel and flight –you’ll want to take the next step in getting ready for the show. If you are a first-time attendee, the following tips and strategies will help you to prep for success, and allow you to ensure that you’ll get the most out of your trade show experience. Before you hop on the plane, there are a few questions that you’ll want to ask yourself. These questions will encourage you to think about why you’re going, allow you to prepare, and ultimately –will enable you to you to get the most out of your show. First, you’ll want to be clear on why you’re going. Without a purpose, you’ll have a hard time responding to questions that vendors ask you, and will be far more likely to feel pressured into buying things –that you may not really need, or want. By being prepared, though, you’ll be able to avoid wasted time and distractions, and ensure that your trade show is a positive –and even productive experience. Below are some questions that you can ask that will help you get into the right mindset and discover what it is you hope to get out of the show. Grab a pencil and paper! Do you want to learn how to increase your margins? Are you interested in tools that can help to optimize your business? Would you like to learn more about the industry? Do you want to learn what other successful Amazon sellers are doing to help their businesses thrive? Are you curious to see what other Amazon sellers are doing to achieve success? Would you like to learn about Amazon-sponsored products? Would you like to learn about branding? Would you like to learn more about the business of selling? Once you have an idea about what you’d like to get out of the trade show, write it down. Then, take some time to jot down some questions that you can ask potential suppliers and vendors. What Exhibitors Do You Want to Engage With? Most trade shows will provide you with a list of exhibitors beforehand. Sometimes, they’ll provide you with one after you register. Other times, you may have to do a bit of sleuthing. For example, if there’s a list of speakers –you can look at what companies they represent and see if any of these organizations would benefit you. You can also do some research on the companies that are sponsoring the event. Keeping your goals in mind, consider whether there any vendors that provide a product or service that you might be interested in. If so, you could always reach out beforehand and see if they would be willing to set an appointment to meet with you at some point during the show. 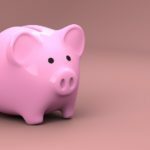 Are you prepared for the costs of the convention? What about purchasing a product or service at the show? Is there room in the budget? If there’s something that you have your eye on, try to do some research now to see what the price is, and to find out if there’s any sort of promotion that will be going on at the show. 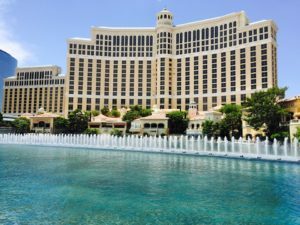 Let’s say, for example, that you’re planning to attend the Prosper Show in Las Vegas. Tickets are $799 per person, and each attendee requires a ticket. 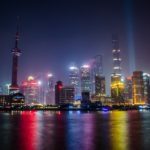 But of course, you’ll also want to think about hotel costs and airfare, plus the extra fees and expenses that you may not have been expecting. Hotel costs + room fees, Wi-Fi charges, etc. 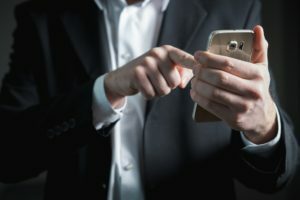 Cell phone usage – double check your phone and data package. If you are traveling out of state, you want to avoid excessive data fees, roaming fees, and long distance charges. Cost of paying someone to handle tasks when you are gone if you don’t have an employee to delegate these tasks to. Determine how you will arrive. If you are coming by plane, how do you intend to get to the hotel? Call the hotel in advance to see if they have a shuttle. If you plan on using Uber or Lyft, be aware that they may charge additional airport fees. Before you commit to a pickup, check to see that you are not traveling during a surge charge period unless you are willing to pay this extra cost. As you incur these charges, make sure you are holding onto receipts or recording them. You may be able to deduct them on your taxes. If you’re looking to keep costs down, look for some eateries outside of the convention center and hotel. Or, throw some snacks in your bag so you don’t have to buy things from the café. If you have not been actively speaking to people on a regular basis because you are locked into your laptop building your online empire, you will want to brush up on your communication skills. This may involve dusting off your copy of, “How to Win Friends and Influence People” –or checking out some articles on communicating confidently. Look people directly in the eyes. Give a good firm handshake. When they give you their name, repeat it back to them, even though it is probably on their nametag. When they are talking to you, don’t look away, focus on them or the material that they are presenting to you. Practice a quick 30 to 60 elevator pitch on who you are and what you are doing with your business. It will exude confidence and show others you are a serious seller that has belief. Review your list of questions that you might ask potential suppliers or vendors. Be yourself, but avoid risque or offensive humor. Show a genuine interest in each person that you have a conversation with. A large part of conventions is networking and making connections. Just keep your objectives in mind –what it is that you hope to gain from the show –and use that to help guide your conversations. No surprise –every vendor and exhibitor is looking for leads and customers. The moment you show an interest you become a lead. That’s why you need to do your homework up front –so you can be in control of the conversations. Still, you may happen upon a booth that strikes your interest –one that you maybe hadn’t planned on visiting. If this happens, be prepared to answer the following questions since they are typical trade show icebreakers. Remember: you head them here first! “Would you like one of our_____?” Many exhibitors offer contests and free giveaways. “What are you looking to get out of the show?” Note: You could always tell them you need to check your “pre-show checklist.” That may get a laugh! All of these icebreakers are Sales 101 tactics, and are designed to engage you in a conversation to find a need. Don’t be rude, but keep your boundaries up. There’s a change that they could be selling something that’s of interest to you. Just don’t let yourself be pressured into making any decisions on the spot. Whatever they’re selling will still be available later on, so take their card, and take some time to think about it first. 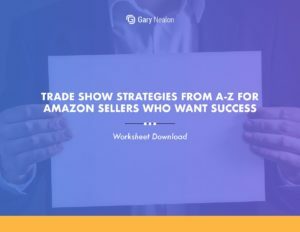 Get our Trade Show Strategies Worksheet delivered right to your inbox. One or two weeks before the show, you’ll want to take a few minutes to make a list of things that you need to complete or delegate while you’re away. Granted, there may be some tasks that only you can complete. If so, make sure that you schedule in some time to complete them so that you’ll be free and clear to focus on the show while you’re there. You have probably been to a show where you see someone out in the lobby or foyer on the phone, flailing their arms frantically talking into the phone with a look of high stress in their voice and panicky facial expressions because something went haywire back home. Don’t be that person. Many emergencies can be prevented by preparing properly. Now, before we get into the specifics, let’s take a quick look at a few preliminary items –things you’ll want to ensure that you have with you. Review this list before you jet out, and again before you leave your hotel room in the morning. Comfortable Clothes: While you’ll want to dress in a way that exudes success and confidence, you’ll also want to make sure you’re comfortable while you’re there. Pro tip: layer. The temperature can fluctuate so have a light sweater or jacket handy in case the conference hall A/C is set to freez’n! Shoes: It’s gotta be the shoes! Wear shoes that look sharp but will give you comfort and support. You may be on your feet the majority of the day –and could easily walk miles –they add up. Business Cards: Don’t forget to bring a stack of business cards –just in case! If you don’t have some already, get some made. Moo offers decent value. A Case: A functional briefcase, laptop case, or backpack that you can store brochures and other materials that you gather while at the show. Notebook: Make sure to keep notes on conversations, vendors, other attendees you meet, notes from speakers, booth numbers, ideas that come to mind, and more. You are going to be inundated with so much information that if you don’t write down something immediately after it comes to mind or you experience it; you may forget it. Staple business cards next to your notes and put their booth number on the card, so you don’t misplace them or end with a stack at the end of the day and wonder who is who. Writing Instruments: Pencils or pens. Chargers: Chargers for your phone and laptop. Smartphone: So that you can focus on the show, leave it on silent as much as is possible. Take pictures of booths that you spend any significant amount of time at. During your post-show recap, the picture will help you recall why you were there. Show calendar: Make a schedule of speakers that you want to hear or mixers or dinners that are taking place. Laptop or mobile device: It may not be necessary but bring it along if you use it to take notes at a meeting or during a learning session. Water: A canteen or water bottle is a good idea. The majority of your time will already be allocated based on what you prepared before the show started. There will be unexpected connections that may require some adjustments in your schedule, but don’t sacrifice a learning session if you have already placed it in your schedule. Get a good night’s sleep the night before your first day at the show. Even though you will have already reviewed the map and layout of the show, arrive early on the first day to familiarize yourself with the surroundings. Allocate at least 30 minutes after each learning session you attend to review your notes, jot down information or to talk to a new connection you made while attending. Don’t miss the networking event on the second night. By this time you will have a good feel for the vibe of the show and probably already have made some quality connections. Don’t eat lunch alone. Ask to join a group or invite someone that you have made a connection with to join you. Offer to buy their lunch if you invite them. If you do have to change your schedule, carefully consider the pros and cons. 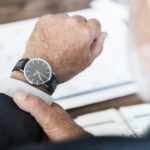 When you manage your time wisely at the show, you will be able to focus on what your objectives and in time you will see a payoff for your efforts! Enjoy the mixers and use them as an opportunity to continue to make connections. Just remember, you’re on a mission. When the mixer is over, as tempting as it may be to continue the evening with other attendees, politely excuse yourself and return to your room to address anything that your business might need. You’ll also want to review your day and have a quick look at the next day’s schedule. If you are inclined to a few cocktails and kick’n it up a bit, save it for the last night after you have accomplished all your objectives. Better yet, save your celebration for when you hit your first, say, $20k in monthly revenue! You just spent the last four days receiving more information than you thought you were capable of. Fortunately, you prepared, and while you were there, you managed your time and executed a plan to maximize and optimize your time at the show. Once you’re back home it’s time to take stock of everything you gathered and learned, and put it to work in your business. This includes not only any products that you purchased, but also tips and strategies that you gathered from speakers, as well as connections that you made through networking. First, review your original plan. What was it that you wanted to get out of the convention? Hopefully you’ll have met your goals, and come away from the trade show with a new way to increase your sales margins, some new suppliers, or new tools that can help you to optimize your business. Next, you’ll also want to reach out to any new connections that you made. Send them a quick email thanking them for taking the time to talk to you at the show. Include something specific that you talked about, or mention what you just did and how excited you are. In addition to that extend the invitation to stay in touch to exchange ideas or even keep each other accountable. You could also add them on LinkedIn. Ask them what show they plan on attending next if you haven’t done so already. A trade show, mastermind group, or meeting with like-minded individuals on at least a quarterly basis will inspire you, educate you and keep the momentum going in your business. Note: Try to wait a few days before emailing anyone. Give them some time to get home, and ensure that your message makes it past the autoresponders that they’ll have up while they’re away. You’ll also want to take a moment also to contact any exhibitors or vendors you interacted with and thank them for the time that they spent with you and let them know you will be contacting them to make a purchase or that you will keep their information for when you are ready to buy. You may even beat them to the punch! 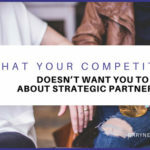 While you are organizing your list of vendors, do a checklist of pros and cons of the product you were offered and determine whether it’s a good time to incorporate it into your strategy. While you may not realize it at first, but the effort that you put in at the show will continue to pay dividends over time. The connections that you made, advice that you gathered, vendors that you met –could all prove to be valuable in more ways than one. So take stock of what you learned, and keep in touch with those you met. And start planning your next trade show! 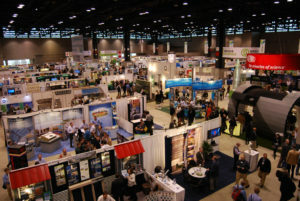 Have you been to a trade show before?